Woodchurch High School has banned Canada Goose, Moncler and Pyrenex coats. With the coldest months of winter fast approaching, a school in the U.K. has banned luxury coats in order to help “poverty proof” its educational environment. The head teacher at Woodchurch High School in Wirral, England, moved to ban coats made by expensive brands after consulting with both parents and pupils. Students will no longer be allowed to sport jackets from Canada Goose, Moncler or Pyrenex, in order to reduce the stress on low-income families to spend beyond their means in order to keep up with higher earners. “We are very concerned about the fact that our children put a lot of pressure on parents to buy them expensive coats,” Head Teacher Rebekah Phillips told The Independent newspaper. 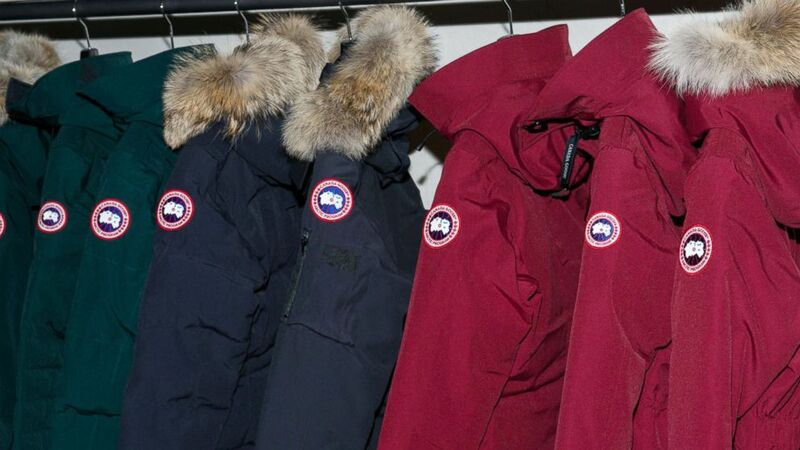 In a letter, the school informed parents that Canada Goose, Montcler and Pyrenex coats were going to be banned after the Christmas break, according to The Independent. The designer coats can often cost hundreds of dollars. ( Noam Galai/WireImage via Getty Images, FILE) A view inside Canada Goose's U.S. flagship store, Nov. 16, 2016, in New York. The concept of “poverty proofing” in the U.K. was pioneered by Children North East, a children’s charity, nearly seven and a half years ago. It is the process of auditing a school to take action against practices and policies that might stigmatize the poorest pupils, Luke Bramhall, school research and delivery lead at Children North East told ABC News. These measures can include training school staff on poverty and its impact on education. “What we might deem as small practices have an incredible impact on students’ sense of belonging in the school day,” said Bramhall. Some schools, like Woodchurch High School, have decided to create their own "poverty proofing" policies. The move has seen a mixed reaction online. One social media user expressed dismay. "So to counteract 'poverty shaming' they introduce wealth shaming, If they really wanted to solve the problem they'd introduce a new coat as part of their uniform, I hope these poor children never have to spend a day in the real world." But one man who described himself as a Woodchurch High School parent expressed relief that since the ban, he wouldn't have to pay up for a designer coat this Christmas. @RadioCityTalk mick my son goes too Woodchurch High he has been asking for one of these coats for Xmas.. Since the school announced this. He has told us not too bother as he can't wear it for school.. Result for me ???? Some say this is an important step on the way to reducing the adverse effects of poverty in the U.K. Professor Diane Reay, a sociologist at the University of Cambridge and author of “Miseducation: Inequality, Education and the Working Classes,” told ABC News that education in the U.K. is increasingly “segregated” between rich and poor. The idea of “poverty proofing” in schools looks to be gaining ground in the U.K. The luxury coat ban at Woodchurch High School follows a similar decision at St. Wilfrid's Primary School in Blyth, England, earlier this year, in which designer pencil cases were banned to prevent poor students from being “stigmatized,” according to the BBC.